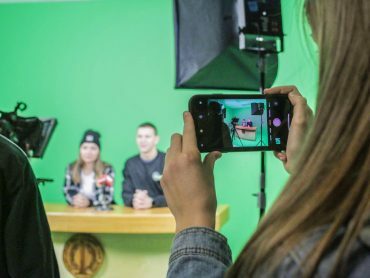 The New Jersey Center for Teaching and Learning (NJCTL) today announced the results of an NJCTL-sponsored Hanover Research Report that examines trends in student participation and performance on SAT subject tests in physics and chemistry, both throughout the state of New Jersey as well as nation-wide. As SAT subject tests are one of the only nation-wide assessments focused on achievement in the sciences, SAT student participation and SAT subject test results can be seen as an objective indicator of how schools are trending in preparing students in specific subject areas over time. This new Hanover Research Report explores the performance of New Jersey, as well as nation-wide students on the SAT II Physics and Chemistry assessments from 2007 until 2016, the most recent year for which data is available from the College Board. Mean Score – The College Board reports mean scores by state for each year in the “SAT Report on College & Career Readiness”, which is published online. It is worthwhile to note that mean scores can often correlate negatively with participation rates; if only the highest-performing students take the test, scores will be higher. Participation Score – is determined by calculating the percentage of students taking the SAT II Physics assessment by dividing the number of test-takers by the number of individuals in each state aged 15 to 19, as reported by the U.S. Census Bureau, times one thousand. Total Score – is a standardized measure equal to the state mean score times the number of test-takers (i.e., total points earned) divided by the 15-year-old to 19-year-old population. • Since 2007, New Jersey has seen substantial progress in both the number of students participating in the SAT Subject Tests in Physics and Chemistry and the overall performance of these students, with growth in these areas outpacing the rest of the country. • Over the 10-year period from 2007 to 2016, New Jersey’s “total score” on the Physics subject test grew by more than any other state, while the total score growth in Chemistry ranked second out of 50 states and the District of Columbia. • In 2016, the relative number of students in New Jersey taking the SAT Subject Tests ranked second in both Physics and Chemistry (trailing only Massachusetts), while the total score – total points earned divided by state population – ranked first in Physics and second in Chemistry. 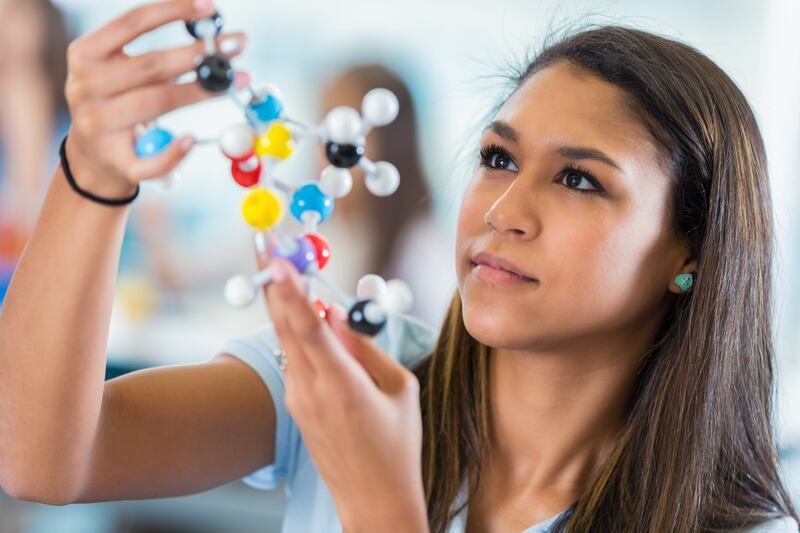 • These figures point to a broad increase in the breadth and depth of scientific education in the state over the past 10 years, placing New Jersey at or near the top of national rankings on the SAT’s subject tests in these areas. In 2009 NJCTL set out to dramatically increase the number of physics and chemistry teachers in New Jersey so that many more students would have access to those subjects. Since then, 270 teachers have completed NJCTL in-service training to become a physics teacher or chemistry teacher, significantly increasing the number of teachers of those subjects in NJ. The hypothesis was that increasing the number of qualified teachers in these subject areas would increase the outcomes of NJ students in those subjects. These data provide an additional piece of evidence which supports that hypothesis. “These results support a theory of change that NJCTL has held since its founding: that teacher training and certification in the sciences would bear fruit in increased student achievement. These encouraging data support this hypothesis,” said Leila Nuland, Managing K-12 Research Director at Hanover Research. NJEA Vice President Sean M. Spiller; NJEA President Marie Blistan; Gov. 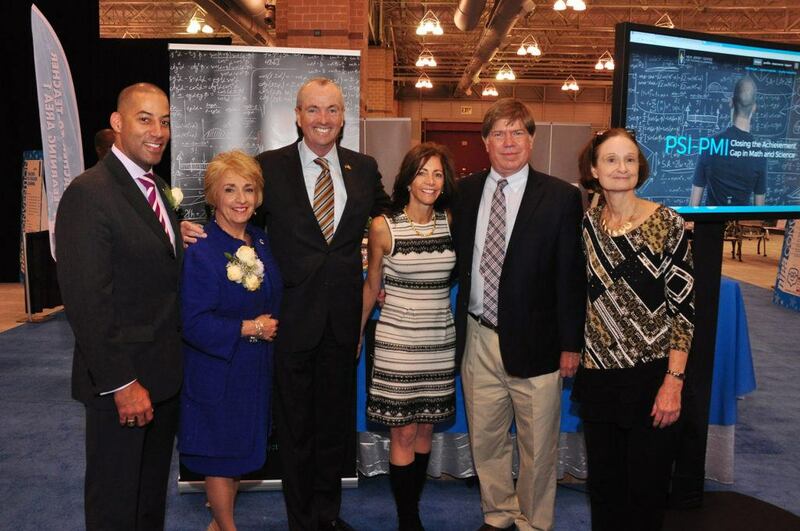 Phil Murphy; Tammy Murphy; NJ CTL Executive Director Dr. Bob Goodman; and NJ CTL Director of Research and Outreach Dr. Rosemary Knab at the NJEA Convention. The New Jersey Center for Teaching and Learning is a nonprofit charitable organization that provides a simple, scalable solution to the STEM crisis in education. 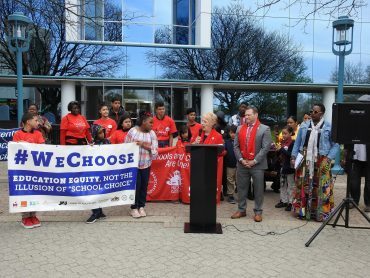 An independent organization founded by the New Jersey Education Association in 2007, NJCTL’s mission is to empower teachers to transform schools, so that all children have access to a high-quality education. 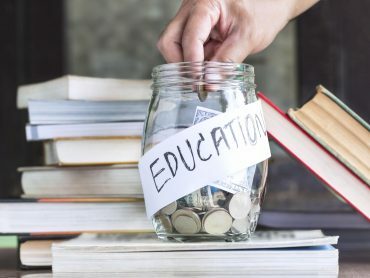 The organization believes the best way to improve education is to invest in teachers by driving changes that make their work simpler, more effective, and less stressful. This belief has propelled NJCTL to create a pathway for teachers of every academic background to efficiently learn and effectively teach science and mathematics. Today, NJCTL is the #1 producer of physics teachers in the United States, as well as a leading producer of chemistry teachers. NJCTL also offers comprehensive free, editable course materials for a full range of K-13 subjects in science and mathematics. These materials are being used in New Jersey, across all fifty states, and in 185 countries. Hanover Research is a global research and analytics firm that delivers market intelligence through a fixed-fee model to more than 1,000 clients across all sectors. Headquartered in Arlington, Virginia, Hanover employs high-caliber market researchers, analysts, and account professionals to provide a service that is revolutionary in its combination of flexibility and affordability. For more than 15 years, Hanover has tailored insights to support clients across the entire decision spectrum. Hanover was named a Top 50 Market Research Firm by the American Marketing Association in 2015, 2016, and 2017, and a Washington Business Journal Top 50 Fastest Growing Company in 2014 and 2015.